Avixa Women’s Council NYC Metro Group and Women of Digital Signage invite you to our (now) annual networking event during NYC Digital Signage Week #NYDSW18. 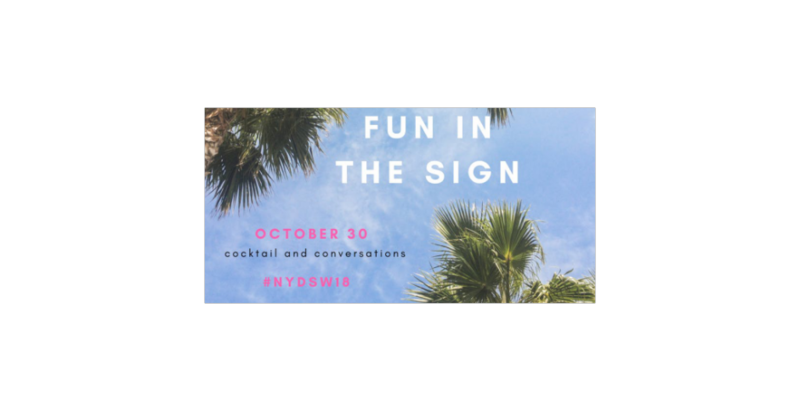 Join the Avixa Women’s Council NYC Metro Group and the Women of Digital Signage for a night of cocktails and conversation during New York Digital Signage week 2018. To make it more fun, dress up for our “Fun in the Sign” theme. We know by the end of October, we’ll all be craving that summer sun. So, before you pack away that favourite outfit, wear it out one more time at our fun in the sun event! Thank you to our sponsor, Unilumin, who generously donated their meeting space. And to food and beverage sponsors, New Era Technologies and Brightsign!